The toddler program at Mini-Skool is designed to create a safe environment where toddlers are encouraged to learn, grow and explore using all of their senses. To enable this wonderful time of growth in toddlers, our teachers provide numerous sensory experiences each and every day. Research has clearly shown that rapid development is happening in the first two years of life. From this, we knew that in developing our new toddler program, it was essential that we provide stimulating activities to encourage optimal development at this age. We understand that in all of these activities there need to be social and emotional connections between the caregiver and the child. Our teachers reach out to create a bond and a trusting relationship with each child, as part of helping the child to grow as an individual. Our language component features wonderful material developed using the “Toddler Sign language” and “Baby Can Read” programs. We are so excited about the outstanding results that both of these remarkable programs have shown in Toddler language development. No parent ever leaves their children in daycare without some trepidation… Mini-Skool surpassed all our expectations. 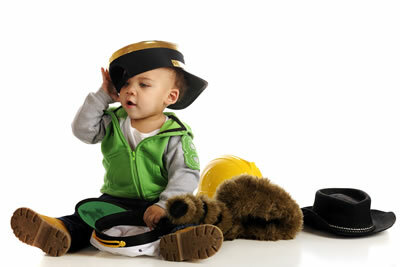 Signing gives toddlers the tools to communicate long before language develops and reduces frustration. It also reinforces the spoken word. Teachers will provide you with the signs your toddler is learning each month to help you follow through with signing at home. Reinforcement – by parents at home – of the signs a toddler is learning at Mini-Skool, strengthens the toddler’s skills and has benefits for the whole family! Consistent signing at daycare and at home helps to achieve optimal results in communication with each toddler. “The Baby Can Read” program encourages toddlers to naturally learn the written word at the same time as they are learning the spoken word, through a multi-sensory approach to learning. Daily videos, flash cards, books and so much more introduces the toddler to language using sight, sound and interaction. This program is a continuation of Mini-Skool’s Infant program and our toddlers will be using volumes 4 and 5 of the “Baby Can Read” program. At Mini-Skool we acknowledge that each child grows, develops and learns differently. This is why we believe that providing a multi-sensory approach to learning is the key to meeting each individual child‘s needs! We strive to help each child to be well on their way to a successful head start in education!